I rarely watch any of the many cooking shows on television, but one I like to watch when I have time is David Rocco’s Dolce Vita. I find David has a relaxed, casual style of cooking, and shares traditional Italian recipes that highlight regional recipes using seasonal fresh ingredients. 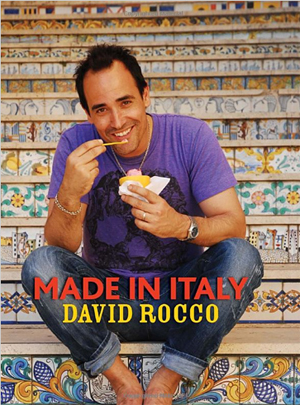 When I saw that David Rocco had recently published a second cookbook, I knew that I wanted to buy it for my collection. At the very beginning of Made In Italy, David states that “In my mind, a cookbook is not a bible. It should be an inspiration.” He also talks about Quanto Basta, a cooking philosophy that you use “as much as you need”, or “as much as you want” to make recipe work for you. I live by this philosophy myself every day, and think everyone needs to realize that any recipe isn’t written in stone, but should inspire you to take it, and change it to meet your own personal tastes and needs. This is a lovely cookbook, packed full of gorgeous photos, cooking tips, and best of all, amazing recipes. I have made many recipes from this book, including the Parmigiana di Melanzane (Eggplant Parmesan) and the L’impasto Per La Pizza (Pizza Dough) which contains white wine and has become my new favorite pizza dough recipe I make weekly. I fell in love with the Pesto Di Peperooncino di Zio Ernesto (Sun-dried Tomato Pesto With Chili) and now make my own version every week that I use on pasta, on grilled bread, or even tossed with cooked vegetables. One of my favorite recipes from the book is David’s recipe for meatballs that also contain sun-dried tomatoes and are dressed with a tomato sauce that sings in your mouth. 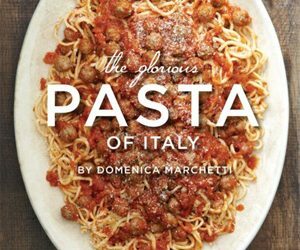 The recipes in this cookbook primarily come from Campagnia and Sicily and have vibrant, robust flavors but are for the most part simple to prepare and delicious. 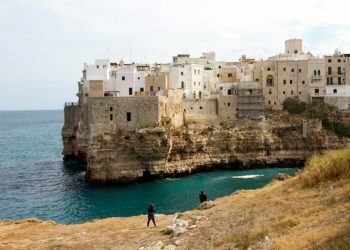 Reading through this cookbook from front to back is like sharing a leisurely trip across southern Italy with David and his wife, enjoying local specialties along the way. 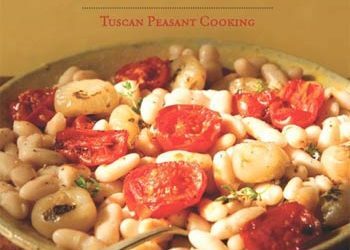 I think this wonderful cookbook would be inspiring to anyone that enjoys rustic, peasant style Italian cooking. 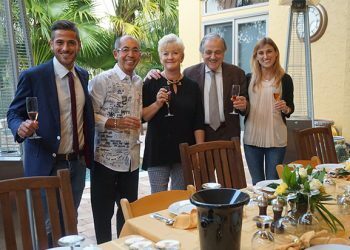 “On his hit Cooking Channel show David Rocco’s Dolce Vita, David and his wife, Nina, travel around Italy, exploring the very best foods of every region, making friends wherever they go. From his modern flat in Florence to the lemon groves of the Amalfi coast, David shares recipes for the local favorites he encounters, including a refreshing Caprese salad with avocado, weeknight chicken breasts with fragrant rosemary and chili flakes, a Sunday meat stew flavored with tomatoes and red wine, and the easy apple-yogurt cake he prepares with his twin daughters. 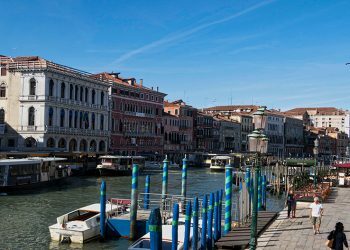 If you are interested in buying Made In Italy, you can find it at Amazon.com by clicking the book below. We watch him too. Started before we went to Rome, and have continued since coming back. 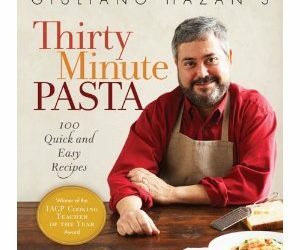 With your wonderful recipes and some of his, I almost feel like an honorary Italian. Love him. Love his show. Love this book. The recipes in the book all sound and look (when accompanied by a photo) amazingly delicious. And I love the concept of Quanto Basta – that is how I cook, how I was taught by my father and grandmother, and how most of the great cooks in my family do it – getting a recipe with actual measurements is almost unheard of. I just never knew there was an actual term for it. Now I might have to go make one of his fabulous recipes….